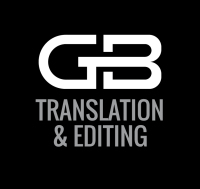 Subscribe any time before 28th March 2019 and get your first two weeks free! Cancel any time within your trial period and you won’t be charged. Terms and Conditions apply. 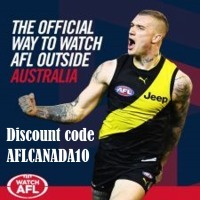 From 30th March onward - Get 20% off a 12 month subscription with AFL Canada! Follow the prompts to redeem your Watch AFL subscription! 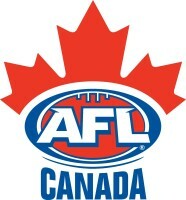 Signing up with this option equals a kick-back to AFL Canada. 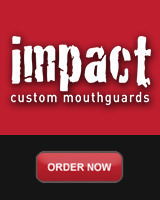 So not only do you help out the orgainization, but you also get all the live Footy action! Win-Win! Discount Period: Discount code is valid 30 March 2019 to 30th April 2019 only. Disclaimer: The discount will be on first payment only, and auto renew at full retail price for 12-month subscriptions, unless cancelled prior. Stream every match of the 2019 AFL Premiership Season, including the finals and The Grand Final, live and on demand, plus unlimited access to the Fox Footy channel, with shows like AFL 360, Bounce, AFL Tonight, On the Mark, Open Mike, On the Couch and The Beep Test. Catch the action on your computer, mobile or tablet, or stream to your big screen with a compatible Airplay, Chromecast or Apple TV.